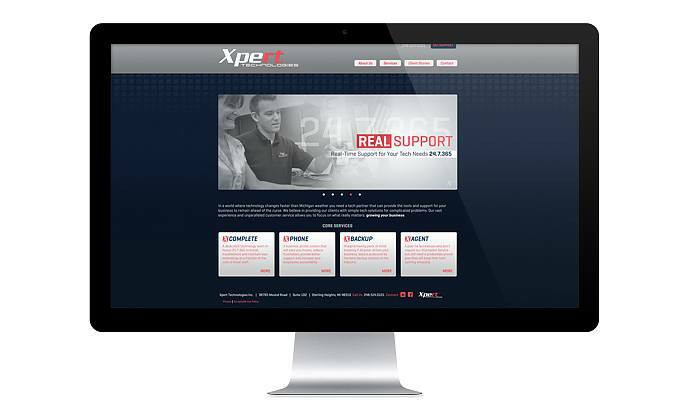 Meet the latest expression of the Xpert Technologies brand. Their company president stopped in recently with a vision of acquiring a small fleet of vehicles that would transport team members to client sites for support. His request? To make them look fast with vehicle graphics like they’re on a mission, and noticeable. All vehicle designs begin with a scaled template of the vehicle. 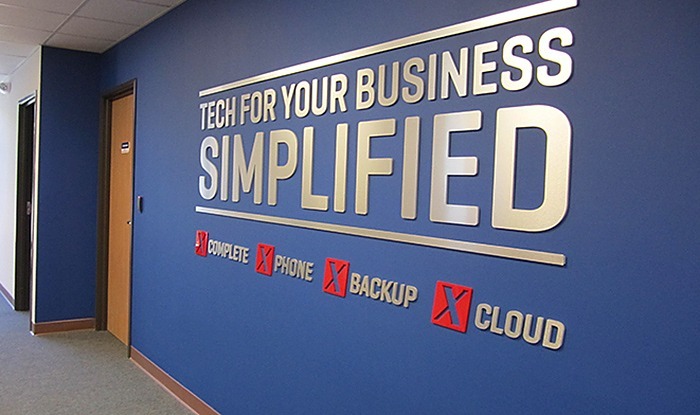 Having designed Xpert Technologies interior graphics and signage for their office and other marketing communications, we already understood the brand identity and what it stood for. 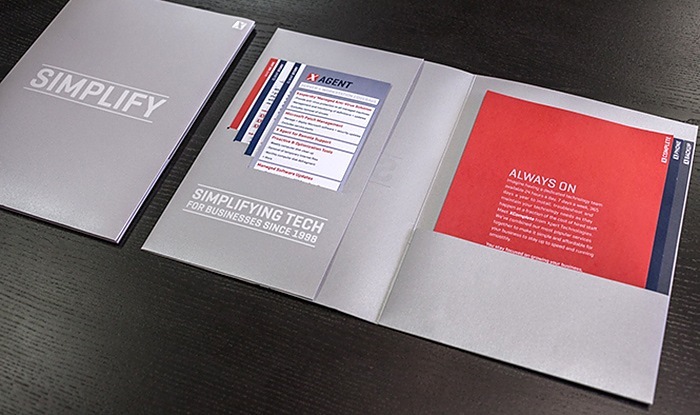 However, each application of the brand is unique and requires fresh design thinking. 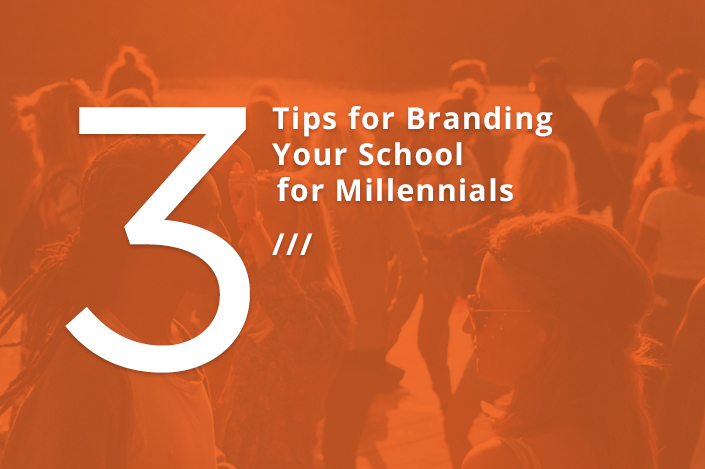 Per Ideation designer, Michael Garavaglia, “People often assume that their vehicles should look like a detailed brochure – loaded with imagery and content, but that just results in information overload at 35-75 miles an hour. 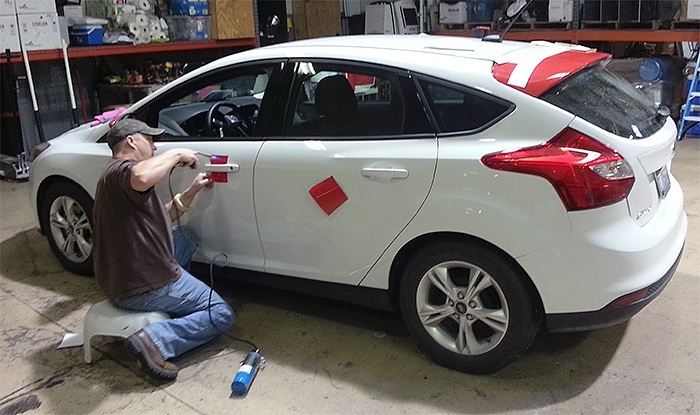 What mattered most, in this case, was expressing a company value – speed in response, and tying it to the brand name in the most noticeable way.” This was best accomplished with a single-color solution, using Xpert’s bold red on a white vehicle. 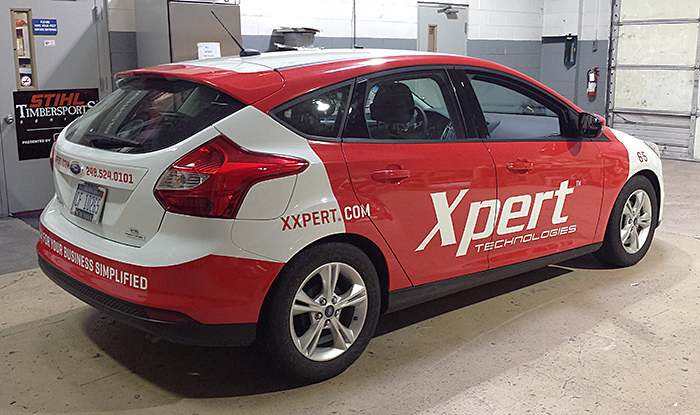 Expert installation of graphics for Xpert Technologies! 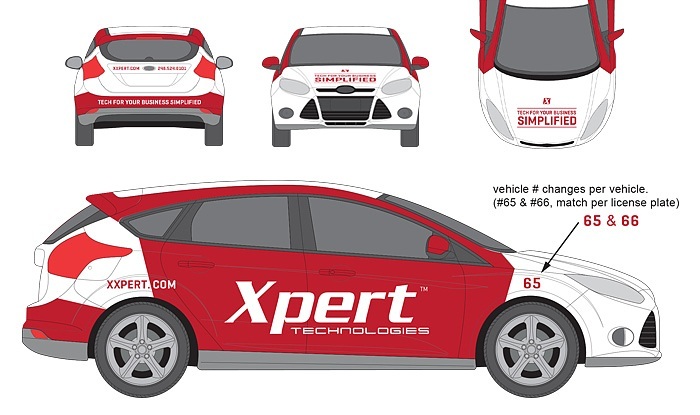 Prior to this vehicle design project, Ideation has been hard at work creating a branded space inside the Xpert offices. However, the vehicle graphics allowed us to move that branded space to a new extension of their business. Check this out below. Ideation designed and produced reception signage while providing consultation on interior color palettes and space configuration. 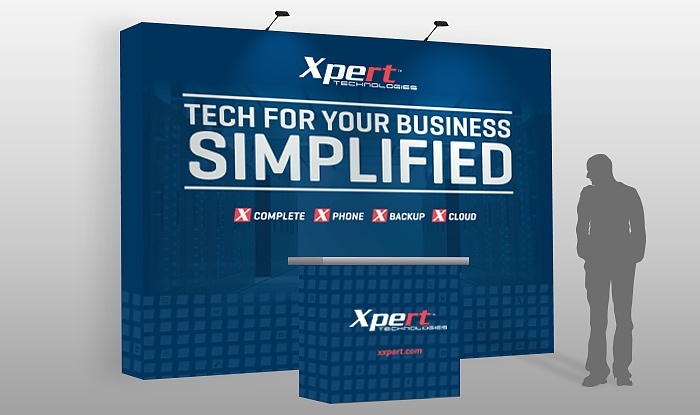 The design and production of this portable exhibit display brought the Xpert message to tradeshows.